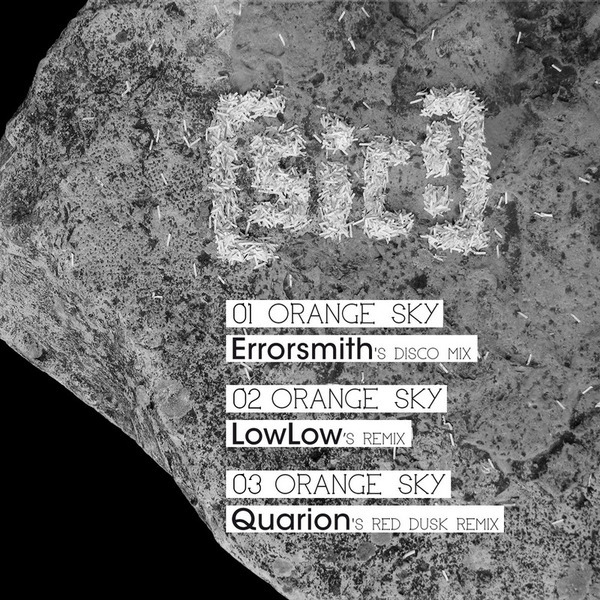 Tidy disco package from the diverse Meakusma camp, featuring remixes of Sic! from Errorsmith, LowLow and Quarion. It's been far too long since we've heard new material from Errorsmith, aka half of MMM, and his mix of 'Orange Sky' is worth the wait. At first glance it may seem like a very straight playing piece of disco punk, but the super punchy production disguises some wickedly skewiff elements like bass riffs which seem to veer just off groove or those pitch tilted synthlines subtly nudged to brilliant effect. On the flip MoM and Mathematics contributor LowLow gives an excellent Italo-pop version and Swiss House producer, Quarion, rolls on a deeper House vibe.